We always welcome New Year with new hopes and ideas. We try to do something fresh when it comes to a new year like we start some exciting work, give ourselves a different look, learn something that we haven't learnt yet and many such things. Since Design Decor & Disha is all about 'Home & Garden', I will talk about home styling. Let's kick off 2017 with a fresh home makeover. While giving our homes a makeover mainly we consider about changing the theme, decor, paint and furnishing but we forget about flooring. Trust me you can completely change the look of your home by upgrading floors, walls, backsplash or outdoor spaces using tiles. How!! Let's check out. Before I start writing on a certain topic, I do a thorough research on it. 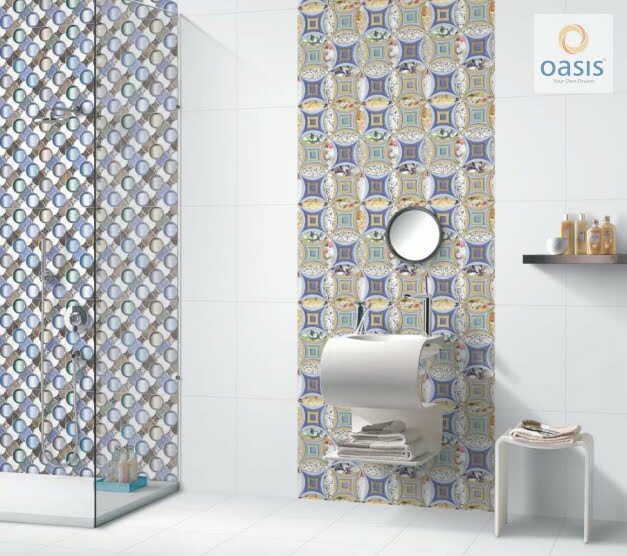 While doing so I came across an Indian tiles and sanitary ware brand OASIS Tiles India. 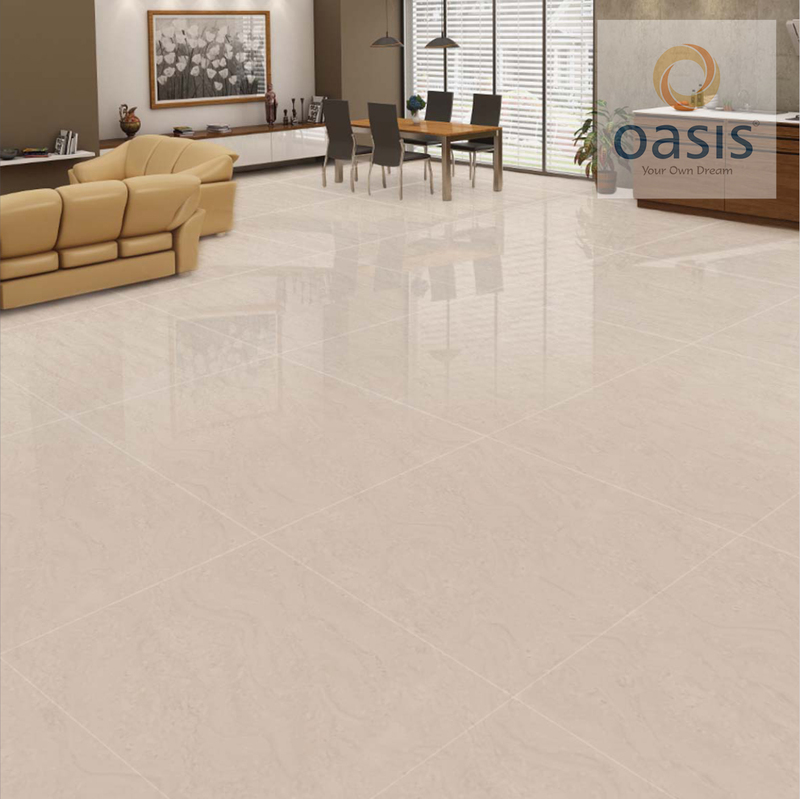 Oasis Tiles India has stormed into the top 10 club of the ceramic tiles companies in India and has been scaling new heights by each passing day. With a stylish and sophisticated look coupled with great strength, Oasis tiles not only cater to the domestic requirements but are also a perfect fit for commercial spaces. Let's see how we can change the look of entire space using tiles. Don't you agree that every space in our homes serves a different purpose and hence the tile flooring we choose for a particular space should meet the demand of it? Let me show you room by room how one can choose the perfect tile flooring for a particular space. Let's start with the living room! The living room is the most important part of our homes where we entertain our guests and love to spend time with family. And in my view apart from the decor of the room its flooring also reflects the personality of the homeowner hence tile flooring for living room should be elegant, clean looking, durable, pleasing to the eyes and should not be too loud. If you wish to add an elegant and sophisticated touch to your space my suggestion would be marble tiling. Marble tile is actually a tile that looks exactly like natural marble and it is making its way more and more into everyday homes. It lends a luxe touch, easy to care for unlike real marble and it sure is durable. Whereas for a contemporary look, vitrified tiles in natural shades are the best. 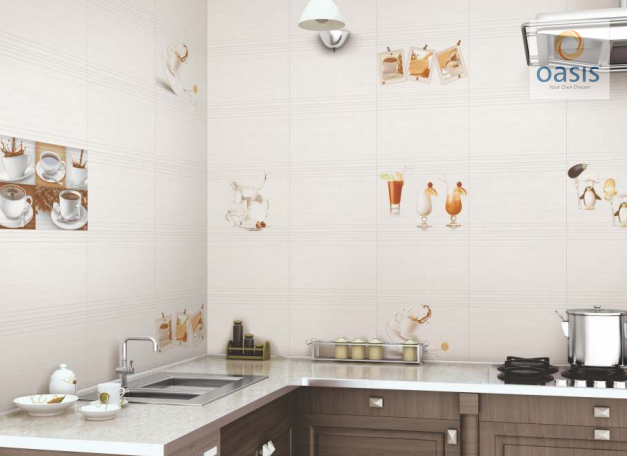 Light coloured tiles can make the room look bigger and brighter. Oasis Tiles India recently launched Maxima double charged vitrified tiles that can add a sense of luxury to any room, with a natural finish or detailing and come in a variety of colours and designs. However, if you fall for an ethnic Indian look, terracotta or patterned tiles can be a perfect choice. Let's move on to the space where love is cooked and served along with food. Yes, you got it right! Kitchen!! Kitchen should not look boring. 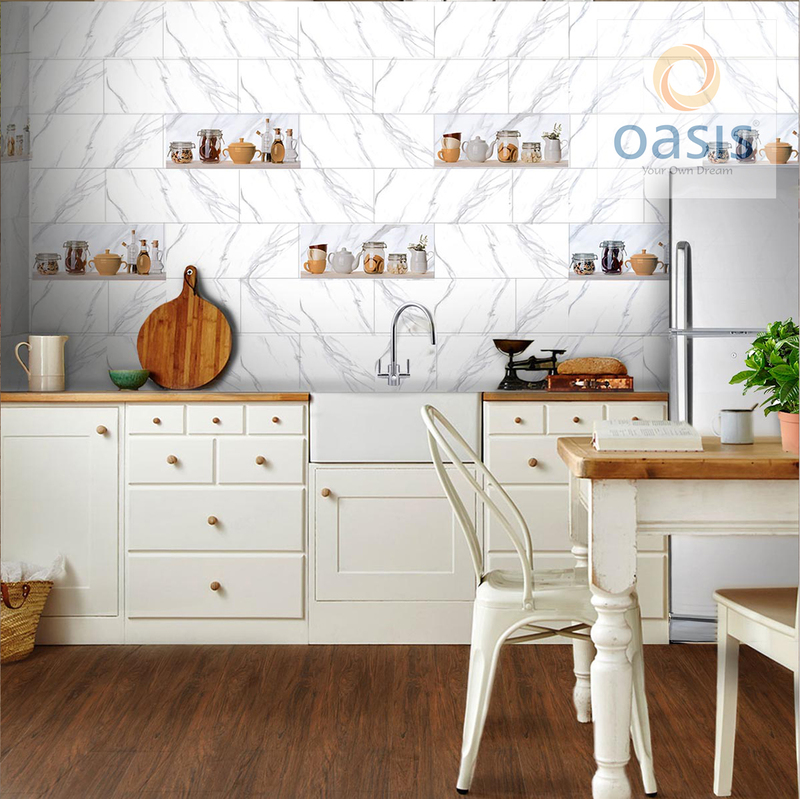 The easiest way to take the kitchen flooring to an entirely different level is to choose patterned tiles by Oasis Tiles India. Tile in dark tones that mimics the look of wooden flooring is in vogue and lends a sophisticated touch. You can use tiles to create an artistic presence too. Tiles in different shapes and colours can be laid in a manner to form beautiful patterns and to create a focal point in the kitchen. For a clean and chic finish, go for tiles in a particular colour combination that goes well with the existing theme of your kitchen. You can add a wow factor and texture to your kitchen wall with a tile backsplash. For kitchen backsplash, mosaic tiles are always a good option. If you are choosing the tiles with borders and patterns then make sure that the motifs are not broken by electrical sockets and switches. Create an accent wall in the kitchen too why restrict your creativity to the living room and bedrooms only. Choose tiles in an accent colour and install them between worktop and wall units and use complimentary colour for other walls. 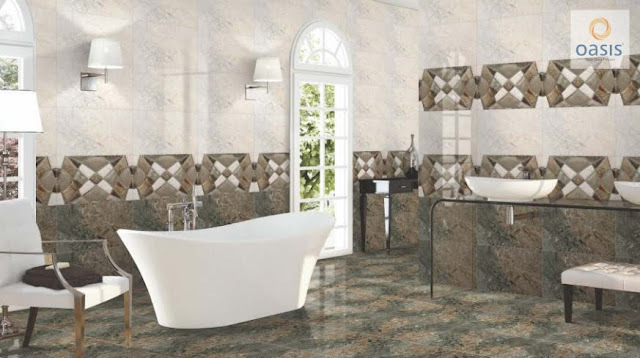 While renovating or constructing new bathroom, one should be extremely careful about the tiles selection. What should you look for when you are renovating your bathroom or getting tiles laid in a newly constructed bathroom? Well, it is the fact that tiles should be anti-skid, long lasting and beautiful. 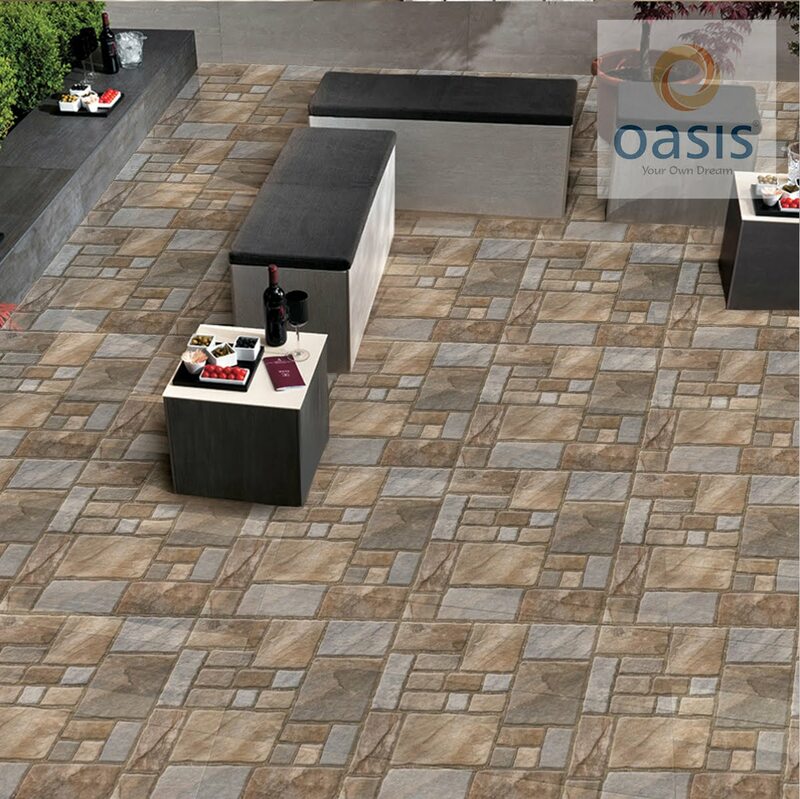 You can combine function and beauty both with Oasis tiles India. Their tiles are anti-skid and add visual depth in an effortless manner. For smaller bathrooms, tiny geometric tiles on the floor and large tiles on walls can bring in a lot of interest. Go for lighter shades to open up the space while you can opt for darker shades for a bigger bathroom. These days tiles are not restricted to indoors only. Variety of tiles are available to adorn your outdoor spaces too. Outdoor space is considered as an extension of living room especially in apartments. We all love to spend time in the outdoor spaces available in our homes. Beautiful tile flooring in outdoor spaces can certainly increase the duration of that time by making outdoors inviting and appealing. Faux concrete tiling is just perfect for outdoors as it is not only comfortable but lends an edgy look as well. To add a personal touch to your outdoor space you can opt for different shapes of tiles like a hexagon, round, rectangular to form a design of your choice. You can add a dash of colour by putting hues on the floor. Choose bright coloured tiles and there you are with an outdoor space with a lot of drama and interest. Now you know how important tile flooring is in changing the entire look and feel of the space. 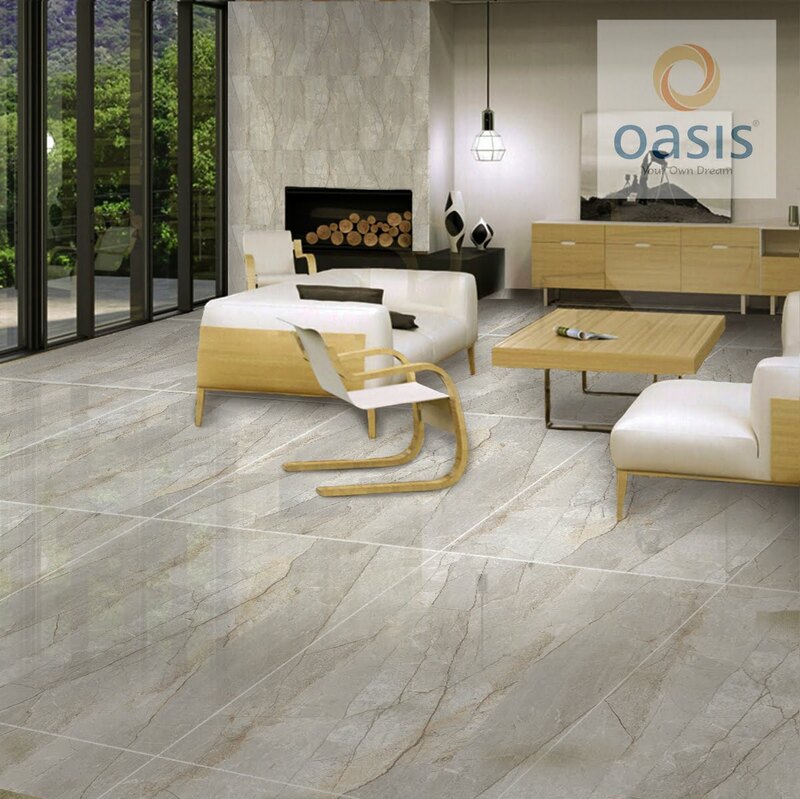 I hope after reading all this you might want to consider upgrading floors, walls, backsplash and outdoor space of your home and don't forget to check out Oasis Tiles India on Facebook, Twitter, Instagram and Youtube. Dear readers, stay tuned to meet an extraordinary talent in my next post :) You will get to see something about India but this time it will not be 'Indian Folk Art Forms'! !